The building will begin rising up in 335 East 27th Street, in Kips Bay with apartments renting for $2,000 to $3,000 a month. Residents are expected to begin moving in by September 2015, according to earlier estimates from the architects. 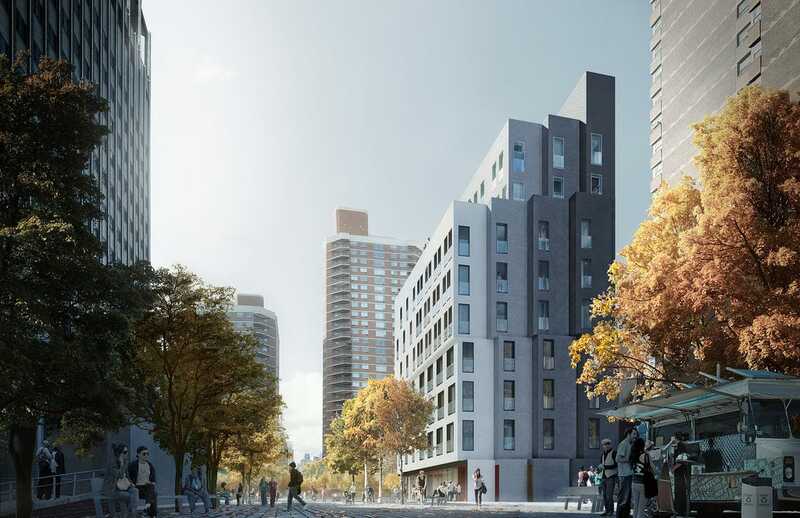 The building will be rent stabilized, environmentally friendly, and — with the exception of the size — will follow all local, state, and federal housing regulations. 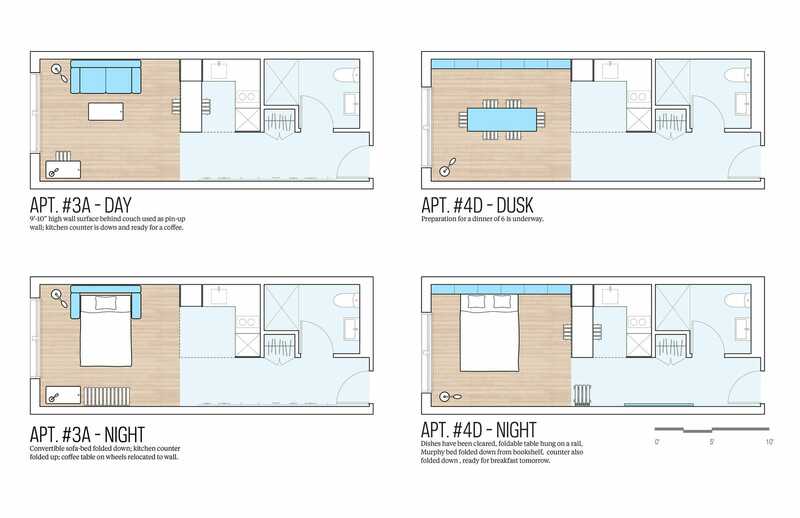 Under current zoning laws enacted in 1987, all NYC apartments must be at least 400 square feet, but then-mayor Michael Bloomberg said in 2013 that the new micro-units would be an exception. 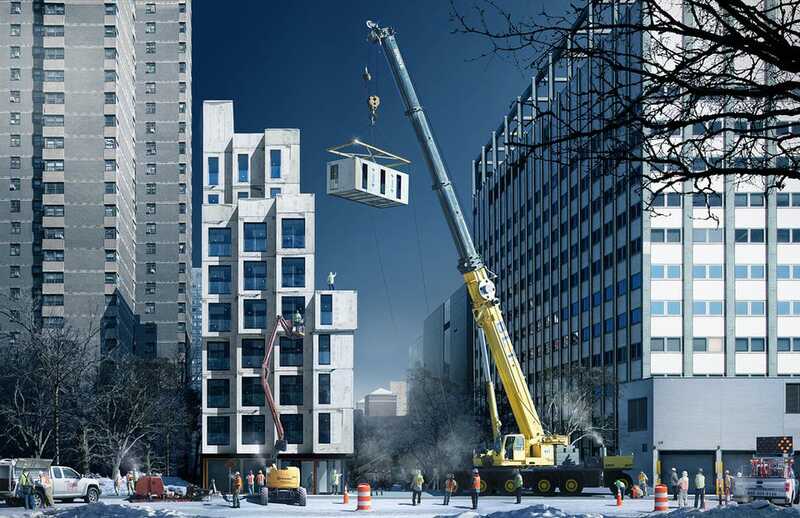 My Micro NY will also be the first multi-family building in Manhattan to use modular construction, with the modules prefabricated locally by Monadnock Development as well as the Lower East Side People’s Mutual Housing Association at the Brooklyn Navy Yard. Modular construction is said to be safer and more efficient since the plumbing, electrical, and building development is done in a controlled, indoor environment. The city is expecting a wait list for the apartments, which have already received “dozens of calls from interested parties of all ages,” according to The Times. 22 of the 55 units will be reserved for low-income families. 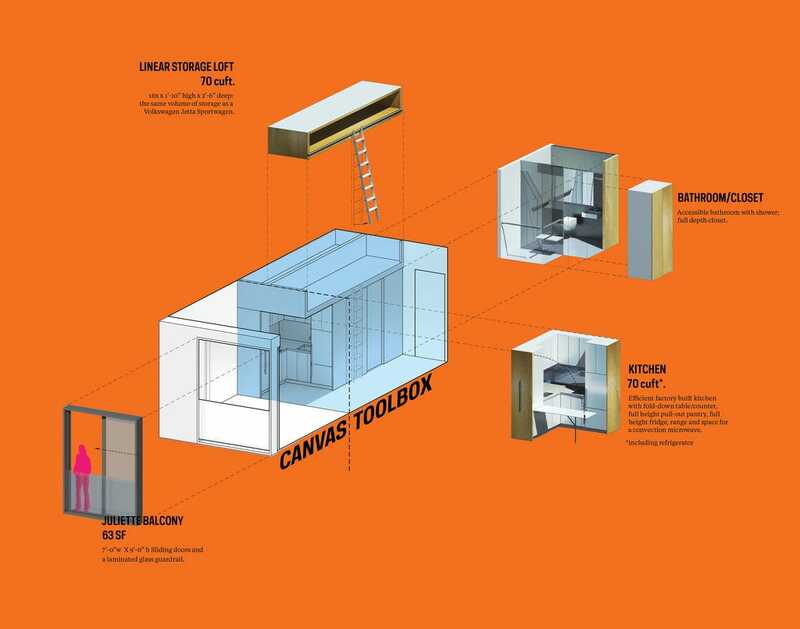 The contest was developed to address the growing need in New York City for affordable studios, one person- and two person-households. It was originally a part of Mayor Bloomberg’s New Housing Marketplace Plan, a multi-billion dollar initiative to finance 165,000 units of affordable housing for an expected 500,000 New Yorkers.